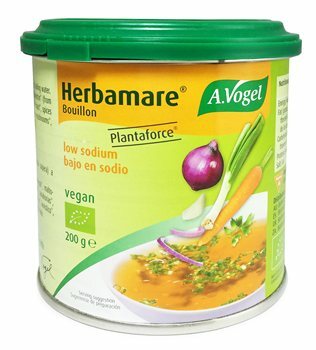 A herb and vegetable based stock made from organic ingredients.Vegetable bouillon concentrate, low in salt. For clear, low-salt soups and sauces. For clear vegetable broth, add 20g (1 tablespoon) of Plantaforce low sodium to 1 litre of boiling water.